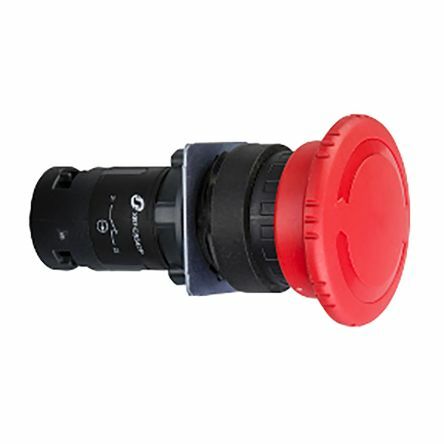 The A22E series emergency stop switch is supplied as a complete or sub-assembled unit and can be installed in a 22mm or 25mm diameter hole. 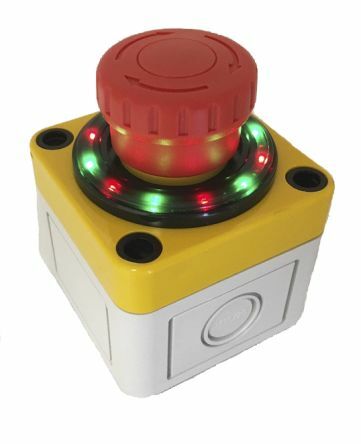 The switch unit can easily be mounted without the use of tools. 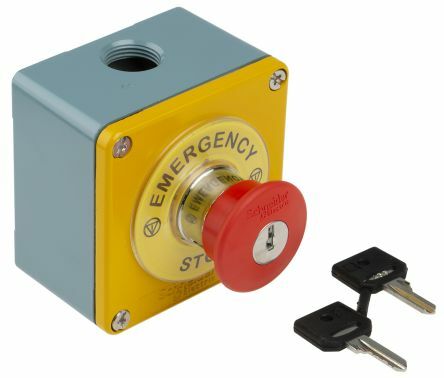 UL508 C22.2 No.14, EN60947-5-1 & EN60947-5-5 (certified direct opening mechanism), GB14048.5, EN60947-5-1. 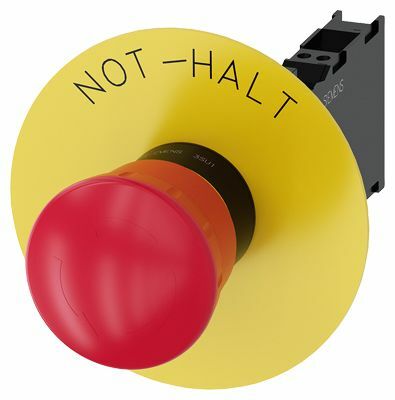 EMERGENCY STOP mushroom pushbutton, 22 mm, round, plastic, red, 40 mm, latching, positive latching, Rotate-to-unlatch, with yellow backing plate, inscription: EMERGENCY STOP, with holder, 1 NO+1 NC, Spring-type terminal.